When you stop to think about the history and the events that transpired inside of this structure, and that you are standing in the very place that it all happened, mind blowing! the guide was amazing! This tour is excellent! It feels very private, with just a few guided tours occurring at once (maybe 150 ppl total). You can actually take pictures, and get up close without others in the way! The lighting is magnificent. And our tour guide was knowledgeable, funny, and extremely pleasant!!! 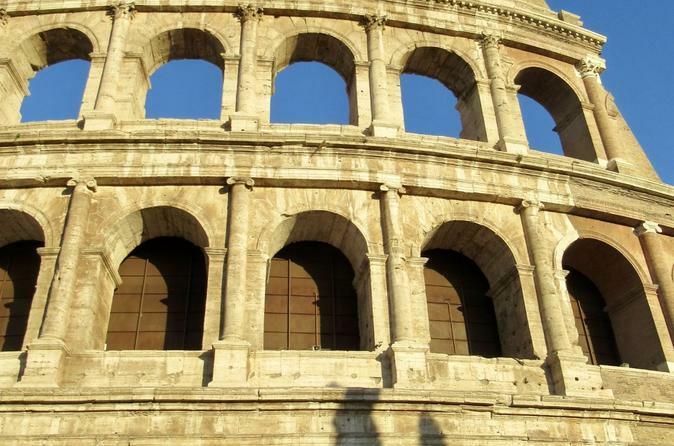 The Colosseum was most interesting and most do in Rome. It was pretty walking at night but we were having to run to keep up with the tour guide and we were not able to understand the tour guide. It may have been the ear phone or her, but after a while we did not worry about trying to understand and just hurried to keep up with her. The tour ends at the Colosseum and you have to walk about 4 long blocks or so to find a taxi at night. Do some research and you can do it on your own, much cheaper and you can learn more. We had a great tour guide....He spoke English well (but rather fast) and he was extremely informative and knowledgeable. A lot of walking and we were a bit confused on the starting point...(our error for not reading the info guide prior to walking all the way to the Colosseum) Rather cool experience to see the lights and not have the crowds for our tour. This was a highlight of our trip to Rome. If it wasn't for the rain, it would have been even better than it was. but very informative. also less crowded at night. 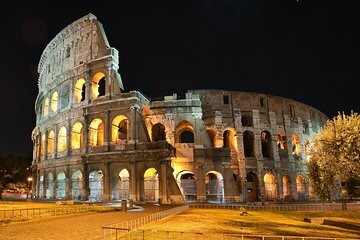 We highly recommend seeing the Colosseum at night. Such an amazing experience and our guide was fantastic! This was such a unique experience! I had been to the Colosseum numerour times and wanted a different perspective when touring the area with my husband. Our guide was so knowledgeable and passionate about Roman history. This is also a great tour to escape not only the crowds, but also the summer heat! The idea of touring the coliseum at night is why we choose this tour. The tour was a little too long and boring for me, but hey, that’s just my opinion! The tour guy was very knowledgeable about Rome and ancient history. We loved this tour. Less crowds and beautiful. We had a wonderful guide who was very knowledgeable, interesting and funny. We would highly recommend this. The only criticism we would have at all is the initial meeting place is confusing especially when you've never been there before so give yourself plenty of time to find before the time of the tour. This tour was amazing! I don't say the word very often. It covered everything we wanted too see and more. The tour guide explained the stories very well it was easy to imagine what went on thousands of years ago. Greet view at night, very pretty indeed. I am so glad we choose the night tour and it was cooler by night as well. I would recommend to anyone travelling to Rome.